once again, long time gone from here. today i have recommitted to posting at least something each day. some of it will be just ‘musings’ and may not be associated with applique. i will choose to post those as uncategorized so as not to bring anyone here under false pretenses. ^_^ as for today, am sharing the beginnings of my latest ‘project’ – it is not so much about ‘new’, as in – new designs – as it is about ways to package things to make them more affordable and/or desireable. 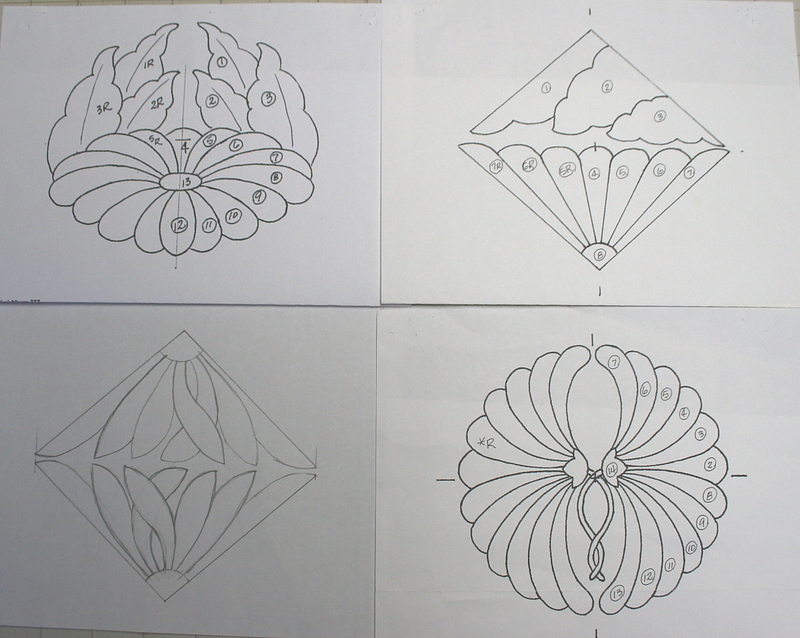 this one will be a package of four mini designs – all 4 are versions of the mum. i have created one new (& very simple) one, as i only had 3 before. i will offer it as patterns only – however, will probably put together some fabric packs that can be purchased separately – rather like the individual mini’s – i will offer only the motif fabrics and leave backgrounds and sashings to your stash. what i choose for a border will determine if i am able to include it. must have sufficient yardage! 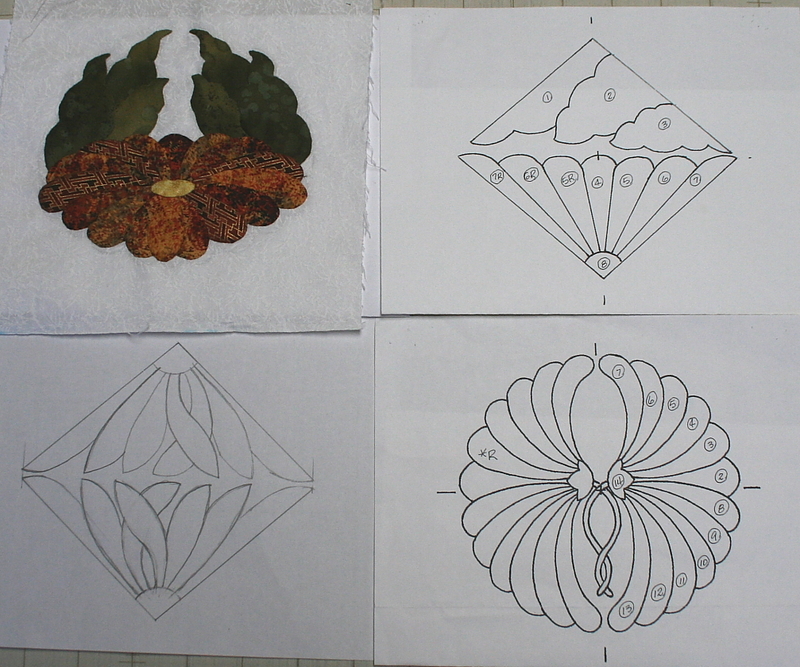 so here are the first two pictures – and i will post new pictures as i ‘fill in the spaces’ with finished samples. i welcome any feedback. the cost for the package of 4, with minimal directions with regard to the sashing & border, will be $19. That’s essentially one free pattern. i’m still mulling over the cost for the fabrics.